"I will miss you Big Daddy." "Nilka and family I never got to meet your father, but am so..."
William H. Ramsey, 74 of Colorado Springs passed away on August 28, 2018 surrounded by his loving family. William was born on January 26, 1944 in Savannah, GA to the union of Joseph W and Minnie L (Goodwin) Ramsey. He is preceded in death by his parents, a brother, Charles Brown; a sister Betty Battles and a grandson, Walter L. Ramsey. 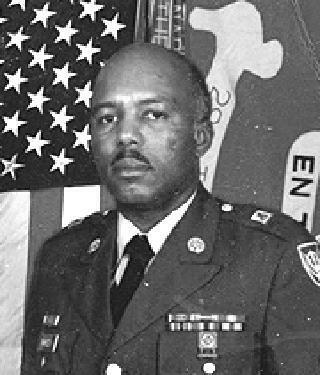 William proudly served 23 years in the United States Army and retired as an E7. William married Gloria E. Pinder on April 23, 1966 at Ft. Clayton, Panama Canal Zone. William enjoyed Bowling, Bid Wiz, Spades, Dominos, Poker and was an avid Raiders Football fan. His true passion was spending time with his family. He also participated with the Masons, Scottish rite and the Shriners. William leaves to cherish his memories his wife, Gloria; his children, William H. Ramsey Jr., Nilka E. Glover, Regina A. Ramsey; grandchildren, Rashawn Ramsey, Reginald A. Ramsey, Reynaldo A. Salmon, Jaivon L. Ramsey, Shanice Drumgold; great-grandchildren, a brother, Joseph W. Ramsey and numerous nieces, nephews and extended family members. A visitation will be held on Friday September 7th, 2018 from 4:00 - 7:00 pm at Angelus Chapel Funeral Directors, 1104 S. Circle Drive, Colorado Springs, Colorado. A Service is scheduled with Full Military Honors on Saturday, September 8th, 2018 at 1:00 pm at Angelus Chapel Funeral Directors. Memories and condolences can be shared with the family by visiting www.angelusfuneraldirectors.com.